We have just received the information that the new EDGUY album MONUMENTS has entered the German album charts on position #6! Thank you all for your support! 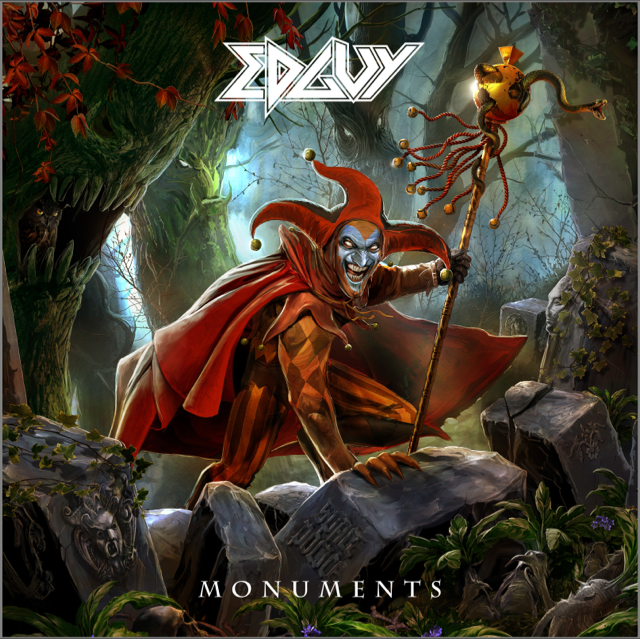 NEW EDGUY BOX SET "MONUMENTS“ OUT NOW! Today the new 25 years anniversary package MONUMENTS hits the stores. MONUMENTS comes as a 3 disc box-set with 5 new songs, classic remastered material of the band’s discography, rare early-day material and a full live show of 2004 on DVD, plus all video clips of the band. The package includes a photo book portraying the band’s entire history. Get a 5 disc version with a huge 160 pages hard cover book here. To celebrate such an exceptional career with their fans, EDGUY will get back on the road. And while the live program will only contain the best material of their entire career, the new release will not be just a 'Greatest Hits' album one would expect to accompany such a tour: The 2-CD/DVD-package »Monuments« (release: July 14th) will include brand new material, their best tracks of the last 25 years, and old rarities that have never been published before! In addition, the DVD includes an entire show from their»Hellfire Club« tour in 2004 as well as the complete collection of their video clips. The limited edition will include an extensive coffee-table book containing material from throughout the entire history of EDGUY! But if you look back now, you will realise how lucky we were! It’s now time to celebrate our anniversary with our fans. We'll celebrate our quarter century with the release of »Monuments« and LIVE in some selected cities! We'll perform a best-of set list, a journey throughout our past, with a lot of fuss and at full throttle! The first quarter century is over and we want to honour these years with our fans! To the next 25 years!" For now: MERRY CHRISTMAS AND A HAPPY NEW YEAR! Faithfully Yours, EDGUY"